Envance products leverage breakthrough technology to deliver best-in-class performance and safety. The Envance consumer product line delivers superior performance against insects AND the highest level of safety for families and pets. Consumers no longer need to choose between products that work and products that are safe to use around children and pets. The Envance industrial & institutional product provides efficacy and safety to leading restaurants, schools, hospitals, and institutions. Envance products are safe for kitchens and for use around people and pets. > Dust Insecticide: Kills and controls crawling and flying insects. Available in a 1 pound bottle and a 10 pound bucket. > Drain Fly Killer: Kills drain flies and other insects. Controls odors in drain and waste areas. Available in a 22 oz. trigger spray and a 1 gallon battery-powered sprayer. 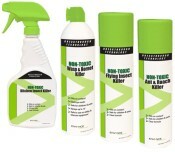 > Plant Insect Killer: Kills plant-damaging insects and eggs. Available in a 24 oz. trigger spray and an 8 oz. concentrate. 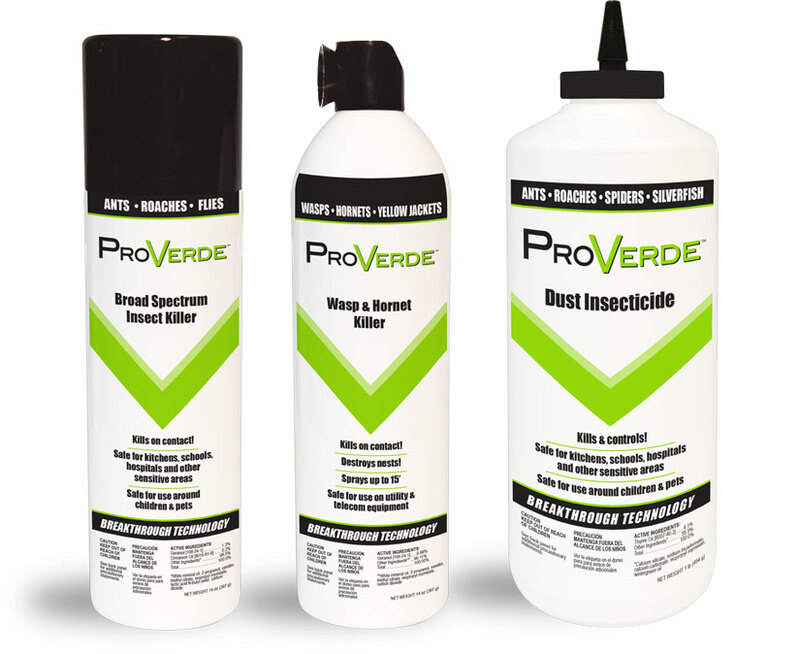 The ProVerde™ product line, sold by AMVAC, provides pest control professionals with a range of highly effective and safe solutions. > Wasp & Hornet Killer: Kills wasps, hornets, yellow jackets, and other stinging insects on contact. Destroys nests. 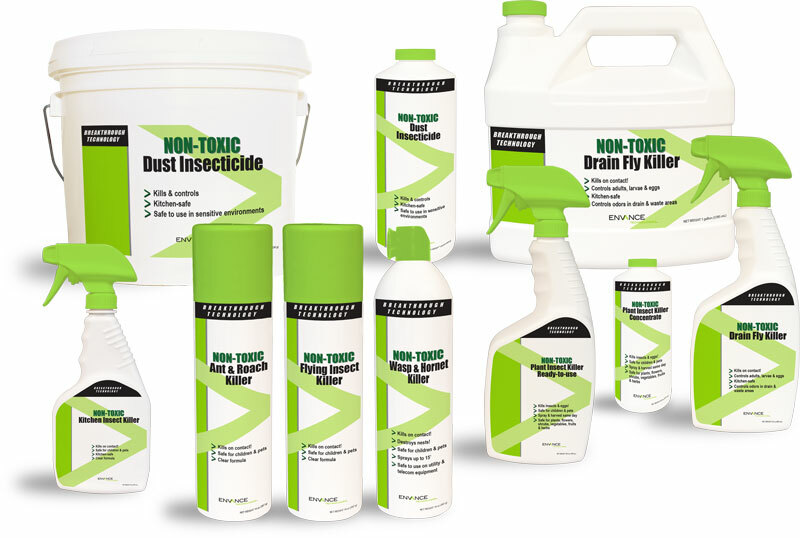 > Dust Insecticide: Kills/controls ants, roaches, silverfish, and other crawling and flying insects.